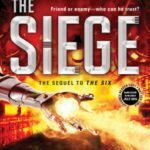 A few quick reviews of audiobooks I’ve been listening to this summer. 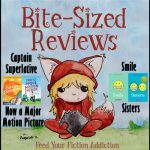 Hopefully these bite-sized reviews will be enough to feed your fiction addiction! When I saw that SYNC was offering this audiobook this summer I just about jumped for joy. I’ve heard so many bloggers rave about it that I KNEW I needed this book in my life. Then I started listening and I was … confused. More than confused. Maybe a little baffled. And really worried. 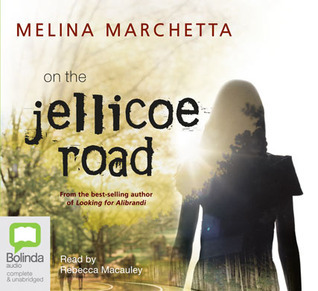 Perhaps I’d confused this book with another Marchetta book with Jellicoe Road in the title? Surely this mind-bending read wasn’t the book that everyone was in love with? 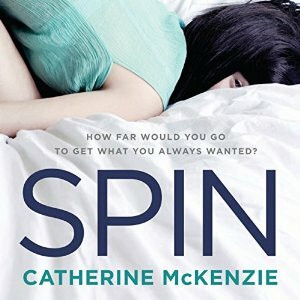 While the audiobook is beautifully narrated by Rebecca Macauley (LOVE her Aussie accent), the audio version was even more difficult to understand than the print version because in the print version you can easily see that parts of the story are italicized and therefore set apart from the rest of the story. 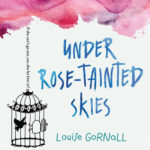 In the audiobook, that is not readily apparent, and I went through the first bit of the book confused about who was narrating – I didn’t understand that parts of the book were a piece of manuscript and others were the actual book’s narrator. I actually ended up downloading the free sample of the Kindle version and re-reading the beginning of the book because I was so confused. Once I saw the italics in the printed version, it all made a lot more sense. The audiobook had (kind of weird) music to delineate between the manuscript and the “real” world, but I didn’t understand that that’s what it was telling me at first. Secondly, I went into this book expecting a contemporary because that’s what I’d heard it called. And it is. Kind of. But then there was all this stuff about the townies and the cadets and the kids at Jellicoe being in some kind of war for territory, and I was all confused, thinking, “Wait a minute, is this real? Is there some sort of war going on in the bush in Australia that I just don’t know about? What the heck is happening here?” I started thinking maybe I’d remembered wrong and this was actually a fantasy. That’s why, in my list of genres, I listed this as Magical Realism – even though that description doesn’t really fit, as there is no magic, per se. View Spoiler »There is a bit of prophetic dreaming, and a hint of a ghost story. But not really magic. « Hide Spoiler By the end of the book, I figured out that it really is mostly a contemporary – but it doesn’t read like one until you’re well into the book. If you go in expecting a contemporary, you just might end up baffled. I was! But I decided to keep listening. And, I’m not gonna lie: it took me a good long time to get to the point where this book made sense. But once it did, it was brilliant. So brilliant that Marchetta had me convinced that all of my confusion was worth it just so I could get to the point where she wove it all together beautifully and it made sense. This is a book that takes patience, but it’s raw and beautiful and tragic and oh-so worth it! This is the type of book that should be studied in classrooms (maybe it is?). I’m so glad I didn’t give up on this book because, in the end, I loved it so much that I gave it 5/5 Stars! It’s a new All-Time Favorite. Emma Tupper is a dedicated lawyer with a bright future. But when she takes a month-long leave of absence to go on an African vacation, she ends up facing unexpected consequences. After she falls ill and spends six months trapped in a remote village thanks to a devastating earthquake, Emma returns home to discover that her friends, boyfriend, and colleagues thought she was dead–and that her life has moved on without her. As she struggles to re-create her old life, throwing herself into solving a big case for a client and trying to reclaim her beloved apartment from the handsome photographer who assumed her lease, everyone around her thinks she should take the opportunity to change. But is she willing to sacrifice her job, her relationships, and everything else she worked so hard to build? In “Forgotten,” Catherine McKenzie tweaks a classic tale of discovering who we really are when everything that brings meaning to our lives is lost. This book isn’t my typical genre, but I was really intrigued by the idea of Emma being presumed dead for six months and stepping back into her life. I enjoyed the story of that reintegration and how hard it is to get back to “normal” when the whole world has gone on without you. 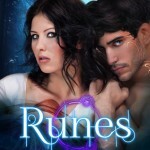 I also enjoyed the romance, but it wasn’t as much of a focus of the book as I would have liked – just personal preference. 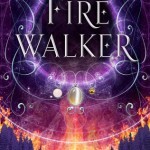 The romance was mostly set aside for a portion of the book and then picked up again at the very end, so I would have liked a stronger resolution. The parts of the book that centered on the legal case Emma was working on weren’t my cup of tea – I wasn’t all that intrigued by the mystery and found myself wishing we’d get back to the romance. Still, this was overall a great read because of the over-arching story of how Emma had to rediscover herself (and sometimes prove herself all over again) after her disappearance. I give it a 3.5/5 star rating. The narration: I thought that Kristi Burns was a fairly good narrator, but every once in awhile she used odd inflections for common phrases. This was distracting to me sometimes. This book was a really fun and entertaining listen, but it also broached the really tough subject of addiction incredibly well. Kate goes to rehab for a job, never believing that she actually needs it. She’s sure that her alcohol consumption and her lack of focus and direction are life choices, not problems. I was actually surprised how long Kate holds onto this belief: even as she’s filling out questionnaires that clearly indicate she’s an alcoholic and talking to counselors about how alcohol has negatively affected her work and relationships, she’s still convinced that the whole rehab gig is fake. She’s just playing along. Now this could have been frustrating, but I think McKenzie did a great job of making me believe it—I understood Kate well enough to believe her denial even in the face of obvious evidence. I enjoyed the relationship between Kate and Amber. They don’t become instant best friends, but their friendship builds slowly and realistically. Kate’s conflict over betraying her friend feels real, and her vacillation over what she should do seems realistic as well. She’s truly caught in a no-win situation by the end of the book. I also liked the romance element of the book and could definitely see why Kate fell for Henry. The only issue that kept me from giving this book a solid four stars was my disappointment with the ending. Everything is solved when one character is conveniently vilified View Spoiler »and Kate basically ends up writing her exposé about him instead of Amber—with Amber’s help. I found it a bit ridiculous that Amber would participate in this sort of behavior considering about how she feels about it being done to her. But it’s supposed to be okay with us because McKenzie turns this character into a “bad” person—so obviously he deserves to be trashed. I wasn’t totally on board with this. « Hide Spoiler There’s also a conflict added into the romance at the end that seems to have no reason except to prolong the wait for the happy ending. My disappointment with the ending lowered my overall rating to 3.5/5 Stars! It took me a little while to warm up to this book, and I can’t exactly explain exactly why. Maybe it was just that the tone of the book at the beginning seemed pretty negative. 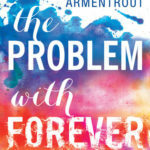 Obviously the two teens’ illnesses are serious, and it’s not like we should expect them to be cheery and happy-go-lucky, but I had a hard time connecting to both characters at first. I also didn’t feel a strong connection between Zac and Mia either (and thought it was a little coincidental that they were both thinking of each other so much later). 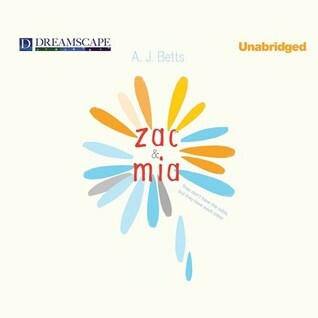 But as the book went on, I definitely warmed up to Zac, and I felt sorry for Mia and understood her a bit more. There were some really poignant moments, and the book had an overall message of hope, even in suffering. By the end, I was completely won over , even if it took me a little while to get there. In the end, I gave this book 3.5/5 stars. The narration: Kristin Condon and Nicholas Mondelli did a great job with this book, but I wish Dreamscape had chosen Australian VO artists. It really threw me when I realized that the book was taking place in Australia, and hearing the characters talk about joeys in an American accent just seemed odd. Great reviews! I also downloaded both of the books that you mentioned from the SYNC program but I haven’t listened to them yet. I will have to keep your review in mind before starting On the Jellicoe Road since that one sounds a bit confusing. I’m so glad you kept at it with Jellicoe Road. I know that’s usually the general consensus with everyone who decides to read it but it’s so brilliant once they figure it all out. Glad you loved it! 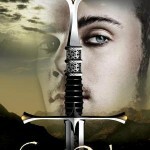 Yes, luckily I knew that lots of people loved this book, and I knew that Marchetta is a fantastic writer. If it had been another random SYNC book that I didn’t know anything about, I might have given up on it. The fact that you loved Jellicoe Road DELIGHTS ME. Marchetta is my all-time favorite author! Every time I recommend the book, I tell readers, “You are going to be confused at first. DO NOT STOP READING. I promise it will make sense and you will LOVE IT.” I’ve never been wrong. 🙂 Have you read anything else by MM? Saving Francesca and its companion novel The Piper’s Son are probably my two favorites. TPS is what inspired my WIP! 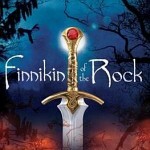 The only other Marchetta books I’ve read are Finnikin and Froi (somehow I still haven’t read the third book in the series). I definitely want to read Saving Francesca, though. Marchetta is pretty much a genius! I NEED to read Jellicoe Road. Like, so much. I have heard basically ALL the good things about it. Soon, soon. 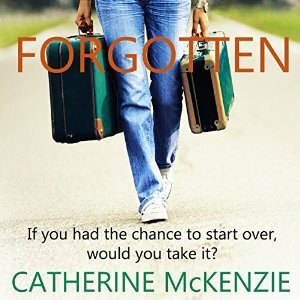 Forgotten doesn’t really sound like a “me” book, because I feel like I’d be incredibly bored by the work stuff too. I wouldn’t usually be drawn to Spin, but I like the rehab thing, and that she doesn’t think she needs it sounds REALLY honest! I own Zac and Mia, but I have never been super compelled to pick it up for some reason. But the fact that it gets better as you go along is really great! Fabulous reviews! Shannon, you HAVE to read Jellicoe! I kneel at Melina Marchetta’s throne. I had heard so many amazing things about Jellicoe too. Just be warned that it makes no sense at first … but then it totally does. 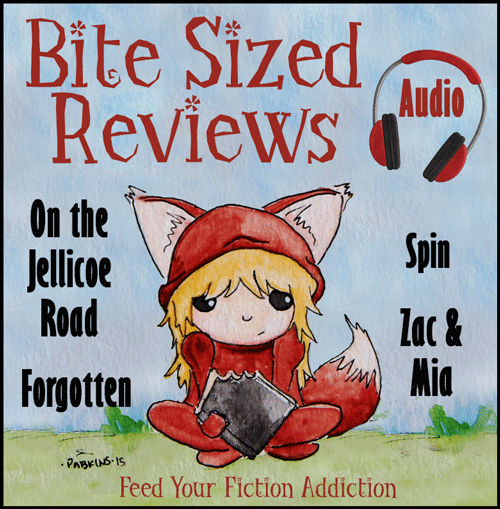 I’m so happy you loved Jellicoe Road so much! We’re definitely split on our blog. Half love and the other half feel meh towards it, even after we figured it all out. I unfortunately fall into the latter group. But I’m always so glad when people can love books when I can’t, so yay for that!